There's lots of dresses in the Quiz clearance sale marked down with 50% to 70% off, starting at just £6.99! 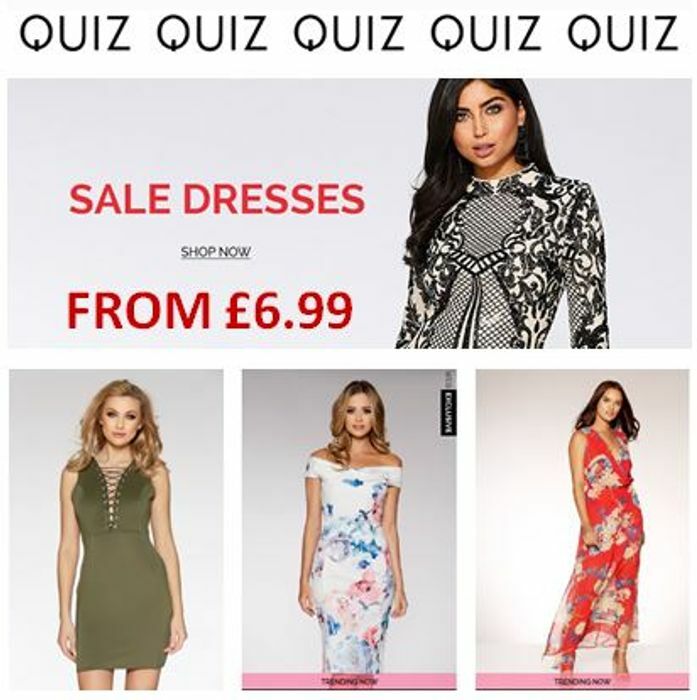 What do you think of this Quizclothing deal? My sister Ruth & I like Quiz,the assistant at Sheffield's Meadowhall branch just let's you browse without muttering those familiar words.. CAN I HELP YOU?? ?